Misty, cute shot of your puppy dog. What a sweetie! Have a happy weekend! I appreciate you linking up to Saturday's Critters. What a great shot of your beautiful dog! Your dog is beautiful -- so alert! She's a beauty! I love the expression on her sweet face. I see the intelligence in those eyes. 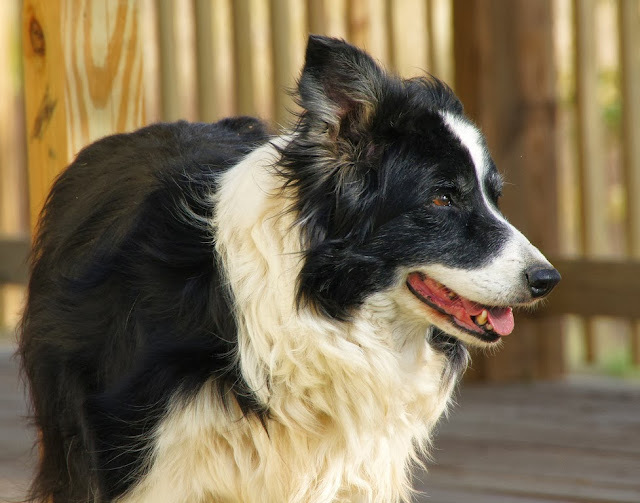 Just the look in a Border Collie's eye can direct the animals they're herding. They're not only intelligent, they are powerful dogs, but ever so lovable. You have a beautiful dog, sorry if we keep our distance we are often mistaken for a lamb and get rounded up!